The first step to connecting with plant spirits, is to let go of your pre-conditioned ways of communication, to begin from a space free of ideas and concepts and to just relax into the moment. Our maestros have used their vast knowledge and experience to carefully select master plants they revere and trust to offer the most complete healing journey. 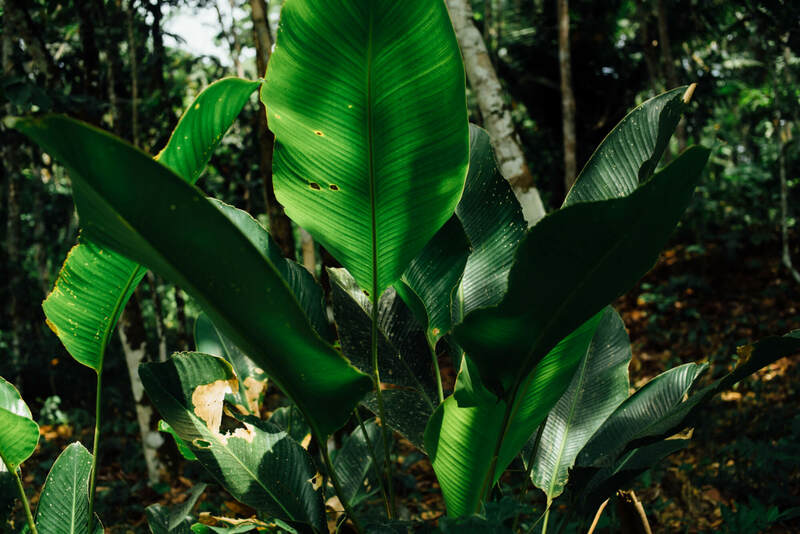 We invite you to read and connect with the descriptions and characteristics below of the seven master plants that guide and support our work. Please note, that for participants who have not previously dieted the maestros will select the most appropriate master plant for you. 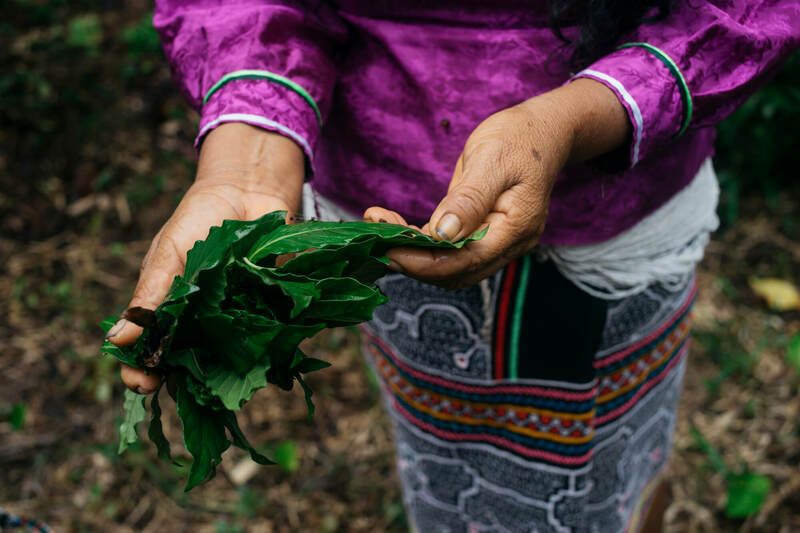 In the Shipibo tradition, Bobinsana is a highly respected master plant teacher with diverse medicinal properties. 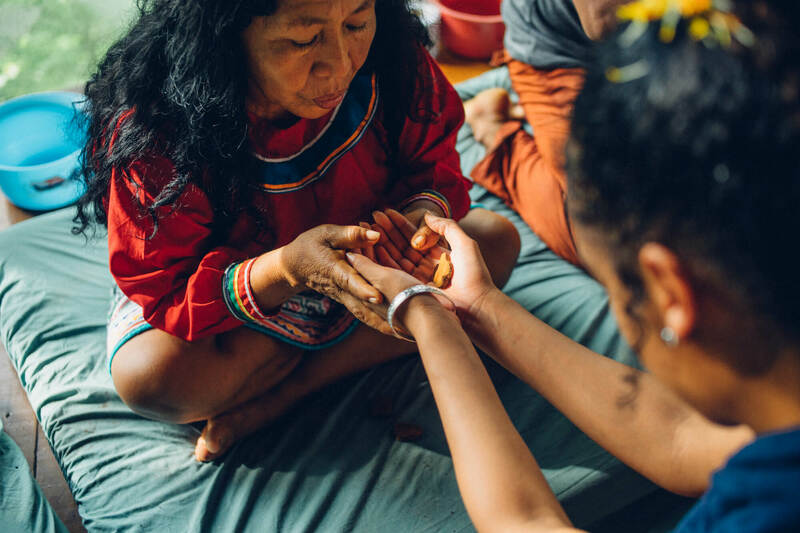 Considered a very creative feminine plant, Bobinsana’s teachings are focused on healing wounds of the heart from past relationships to release trauma, intense grief, loss and sadness. Healing deep wounds from childhood, romantic relationships, or psychological/physical abuse, the participant experiences a greater capacity to feel love, empathy, and compassion for oneself and others. By reinforcing the brain’s nervous system, Bobinsana helps relieve stress, tension, intense thoughts and worries accumulated from heavy workloads. She helps to strengthen and protect your energy field to create a resilient fortress around you when in challenging environments. This also supports any meditation practice or energy work, such as massage and reiki. The Shipibo say that Bobinsana has a great love for beauty and the arts, and so helps to activate the participant's creative channels for greater self-expression. She helps to open the voice and connect the participant with plant spirits to receive songs. Bobinsana is a unique spirit who showers you with love and affection, illuminating the path of beauty and grace. A true Goddess of the Amazon. 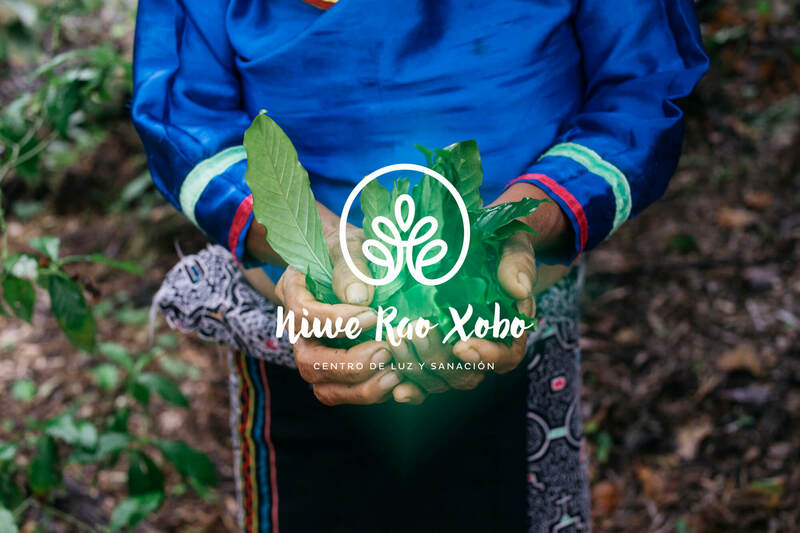 The Shipibo use this male plant for gastrointestinal disorders to purify the blood and regulate the nervous system. The digestive system is not only responsible for the digestion of food but has an intricate connection with our emotional processing. As a result, the gut can carry heavy energies and emotional trauma from ‘undigested’ past experiences. This plant will suit a participant who has trouble connecting to, expressing or processing their emotions. Tamamouri is particularly good at relieving deep-rooted fears and teaches a more mature approach to one’s emotional life. The earthy quality of tamamouri leaves the dieter feeling grounded with a deepened connection to the earth and the universe. This is a potent and magical plant, that is chopped into mapacho and smoked in pipes or wrapped paper. 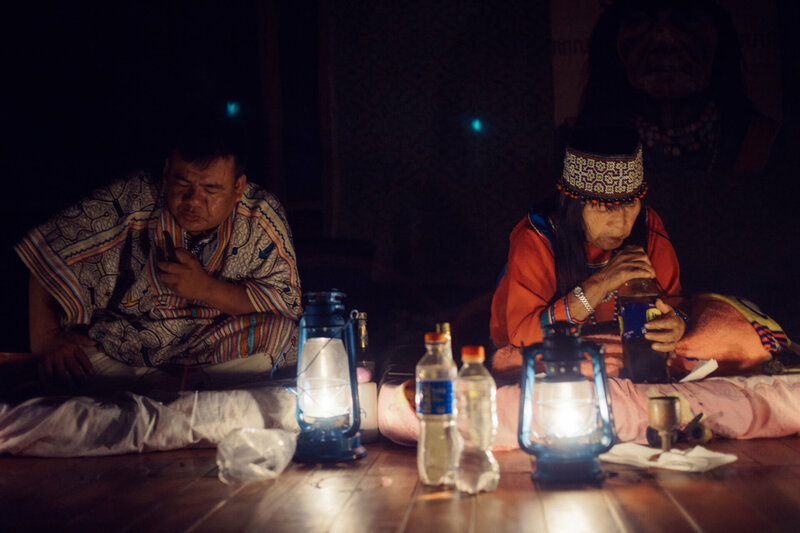 Mapacho is used by the shaman during ayahuasca ceremonies, to clear and protect sacred and ceremonial spaces, and to increase the potency of his healing work. 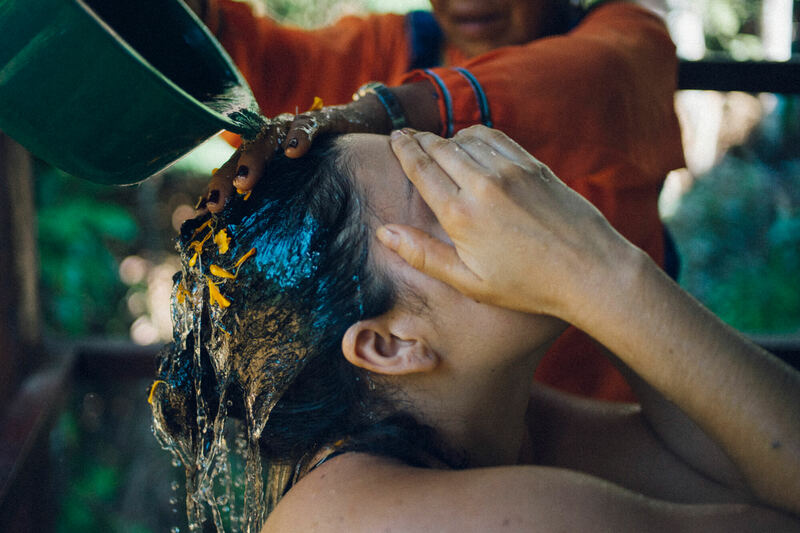 When ikaros are sung, the participant is blown with mapacho smoke to imbue and enclose their astral body with the healing benefits. 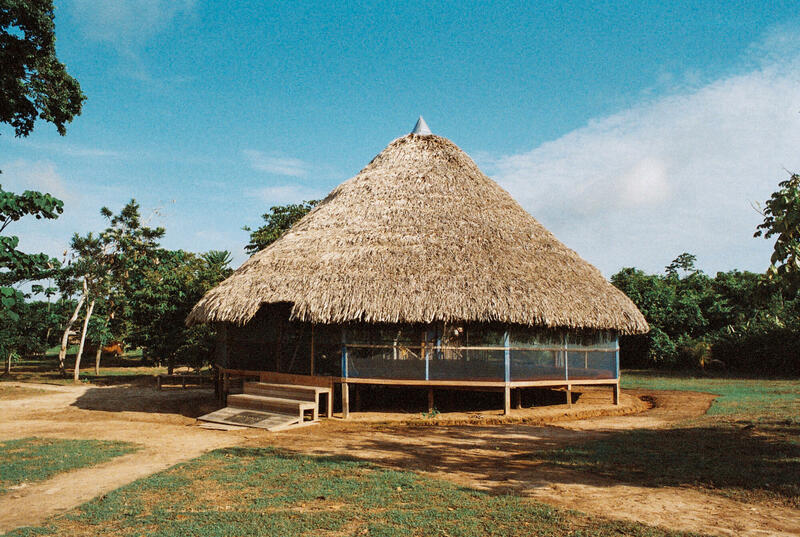 Considered as important as ayahuasca by the Shipibo, mapacho serves as a bridge to connect with the other plant spirits. For the healer, it also works to protect for his energetic field while he heals others. Mapacho, is a wonderful medicine if you are physically weak or suffer from chronic fatigue, it also aids recovery from stress and migraines. Tobacco makes your mental and emotional capabilities more resilient and your decision making more decisive. It heals deep sadness and releases and regulates blocked emotions. When used properly, tobacco/mapacho is a medicine and not addictive, it actually strengthens, protects, and gives mental clarity. 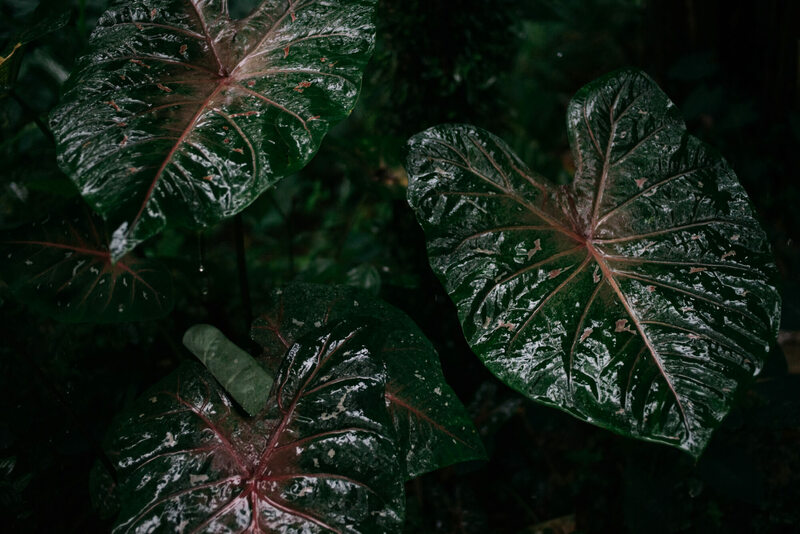 We encourage participants dieting any plant to connect with mapacho by smoking him with intention (without inhaling) and lightly blowing the smoke on your body. This helps to ground, protect your energetic field, and clear heavy mental activity to connect you back to your center. Similar to the healer, mapacho also helps you to connect to the realm of the plant spirits. Like any other plant, but especially with mapacho - the more you connect with his spirit, the more he connects with you. Most people who work regularly with medicine, form a very close bond with mapacho, built on trust and a deep respect for his support. 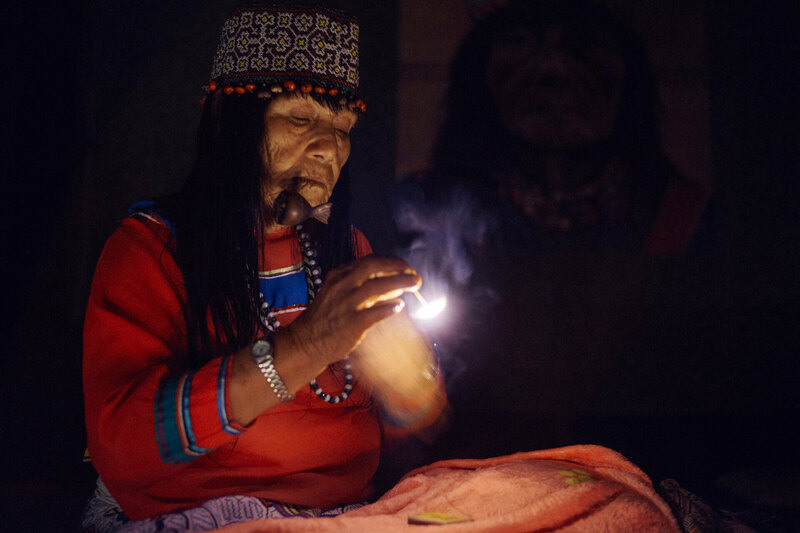 The spirit of shihuahuaco is one of the highest in the Shipibo tradition, with one of the most highly evolved plant consciousnesses. It is said that the spirit appears as a large-dimensional man whose body shines brightly like highly polished metal. A participant normally needs to diet a few plants before dieting the more challenging shihuahuaco tree, as the dieter is tested with their shadow aspects. This powerful spirit focuses more on the mind; cleansing undesirable habitual thoughts and calming mental activity. It helps anyone with a strong character, who may have experienced hardship, or who may carry heavy emotions like shame, guilt, remorse, anger or paranoia. Shihuahuaco helps to protect against oppressive environments and strengthens the auric field to prevent dense energies from entering the body—great for sensitive people who are affected by other energies. He aligns the dieter to the light, helping them to feel more compassion and a greater desire to help others. This highly respected master teacher will support people working with yoga therapies, energy work, or anyone exposed to strong energies and characters. Tiny white flowers and leaves like blades, this plant works in the realm of love. She is good at balancing masculine and feminine energies and restoring the nervous system to a state of rest. She helps you attract benevolent people with good intentions and helps you to set healthy boundaries with people in your life who create or possess chaotic or challenging energy for you. With marusa, you will experience greater love, increased self-esteem, and self-love and be aware of more beauty in life. You learn to truly love yourself and others. Often mistaken as a tree, renaquilla is a large vine-like plant which wraps itself around a host tree, eventually becoming inseparable and at one with its host. Renaquilla’s unique healing modalities work with the same binding energy to join, bond, unite and strengthen broken issues across the physical, emotional and spiritual spheres of life. 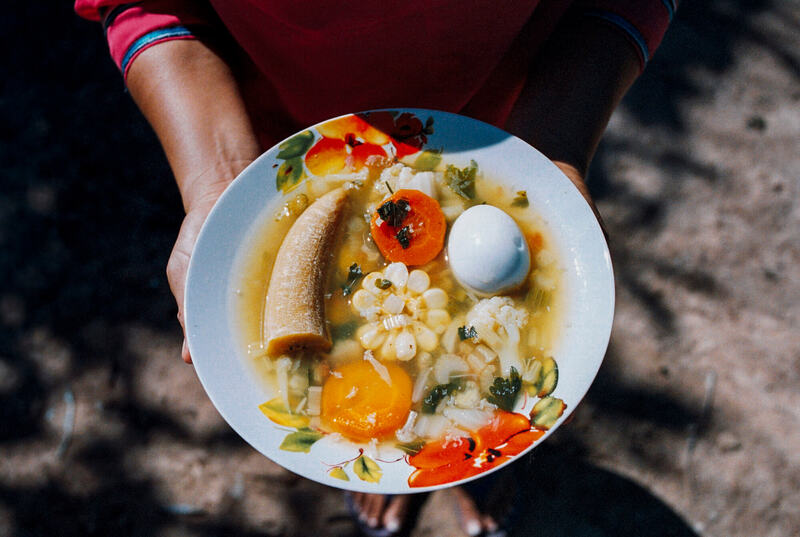 Considered a feminine plant, the Shipibo love renaquilla’s unifying nature which brings us back into harmony with the natural world and our relationship to life. Her powerful teachings help to resolve severe disunity between couples and family members by unifying and connecting through forgiveness. This powerful plant has the unique ability to reprogram your neural network — by coding your system with new improved cellular health — resulting in an expanded awareness and shift in consciousness. This is a great teacher for anyone doing energy work with hands as it heightens your intuitive awareness to bone and connective tissue related issues. Chiric Sanango’s spirit presents itself in the form of an elder wise-man, affectionately referred to as abuelo sanango. With his strict yet compassionate nature, he focuses on balancing and restoring the three brains—stomach, heart, brain connection. His unique medicine transforms our internal landscape by aligning us with our truth, strengthening our soul connection, increasing self-esteem and self-love. Through this healing, we experience a deeper sense of self, with renewed confidence to fully express our individuality. Chiric’s unique medicinal properties help balance serotonin levels, helping those suffering from severe grief, depression, and anxiety. It will benefit anyone who feels lost or disconnected from themselves and others, as well as anyone suffering deep insecurities, or stuck in egoic patterns of thought, desires, and beliefs. A true heart-opener and warming energy, you will gain a greater understanding of the earth as your home, the connectedness between all living things, and the universal love that binds us all. It is a medicinal plant used to cure many different diseases, and grows easily through natural regeneration. A small shrub with dark reddish webbed leaves, which are used, along with the resin, in plasters to diseased areas of the body to heal physical conditions. It is also used to purify the body of negative and unwanted energies, often administered as a powerful ingredient in cleansing baths. It also helps to accelerate healing, while relieving physical and emotional pain by offering tranquility and rest. The Piñon Colorado is a nurturing plant, which, while being wonderfully powerful, is a relatively easy plant to diet and does not demand much from the participant, and if a participant breaks the diet while working with this master plant their health will not be overly affected. The highly respected Niwe Rao, predominantly works with the cerebral functioning and strengthening our energetic field. The dieter must have previous dieting experience, be aligned and have their heart and thoughts in a good place as it gives great power to one's word and volition. This is a highly effective plant to improve sensory perceptions, attention, concentration, cognition, memory, and intuition. The plant fortifies the dieter’s energetic field by charging their energetic channels. This is an invaluable master plant teacher for healers and energy workers. 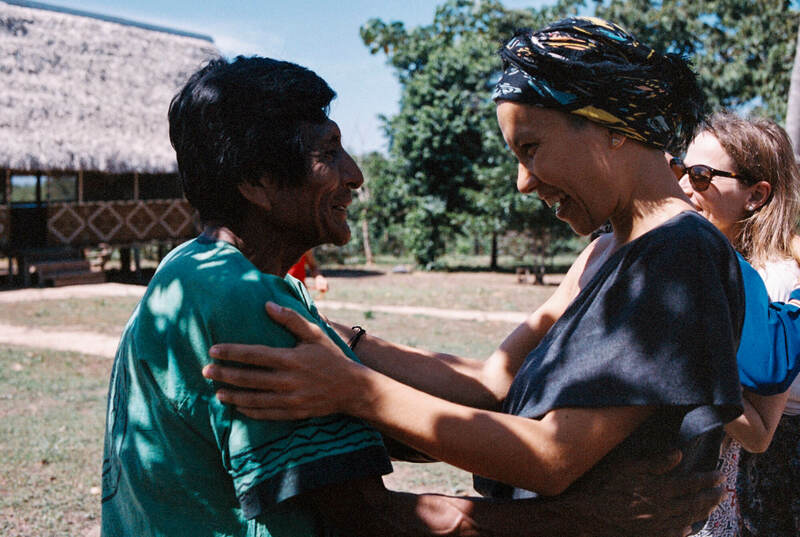 Serving as a connector to the spiritual realm, Niwe Rao communicates through intuition to help diagnostics, how to work with medicine, and how to treat/eliminate illnesses. He has great power to connect you to receive songs from plant spirits.